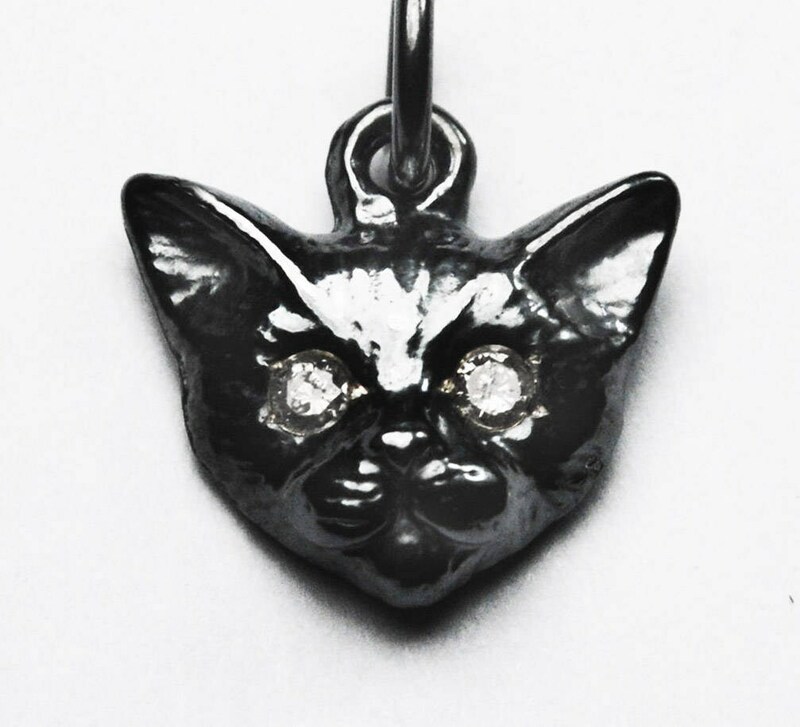 Solid Sterling Silver Kitty Cat Charm set with 1.5mm genuine white diamond or CZ eyes. 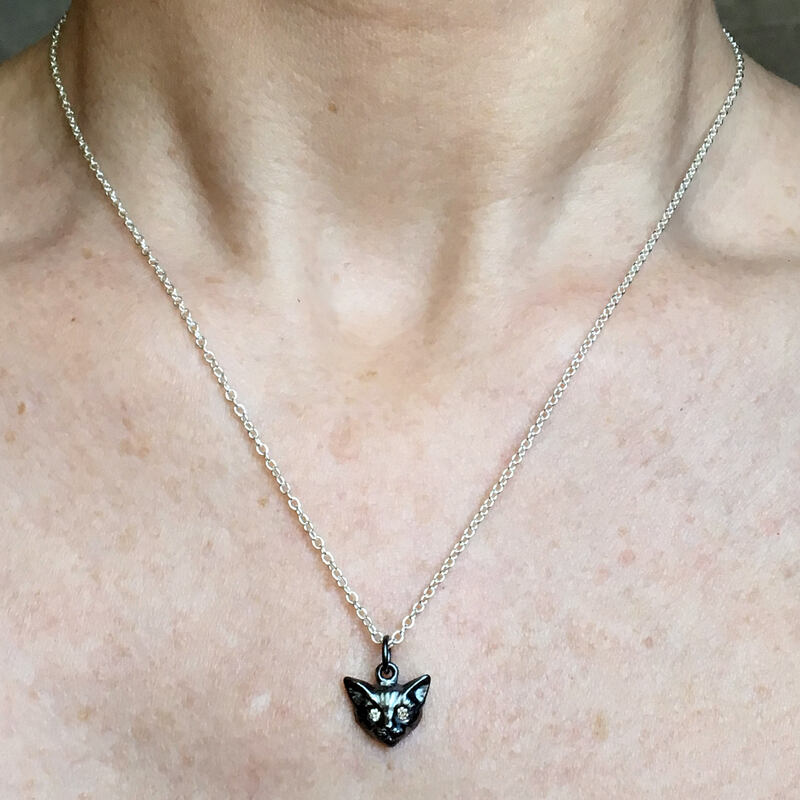 Available as charm only (on jump ring) or hung on a 16" or 18" Sterling Silver cable link chain. Charm measures approx. 1.3 cm x 1.25 cm x 4mm.